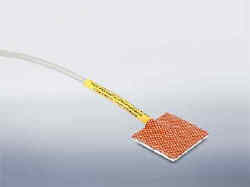 This sensor measures the surface temperature of the PV modules. By affixing the sensor to the backside of the PV module, the module temperature can be measured. Module temperature can affect power output. By measuring module temperature one can monitor the effects on the solar system’s performance.